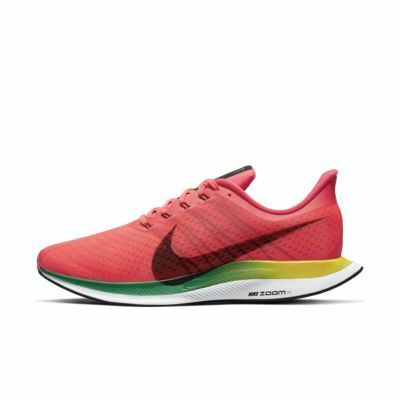 The Nike Zoom Pegasus Turbo brings record-breaking innovation to your daily training. Nike ZoomX foam delivers revolutionary responsiveness while the feather light upper looks as fast as it feels. Nike ZoomX foam delivers Nike Running&apos;s greatest energy return yet. Lightweight upper looks and feels fast. Let me preface this with I am a Nike loyalist, but I realize the short falls in some of their shoes. I have vapormax, racers, 270's, 2017 flyknit airmax, a host of other nike shoes and a lone pair of addidas ultraboost, the Pegasus turbo straight out the box are the most well balanced shoe I have put on. 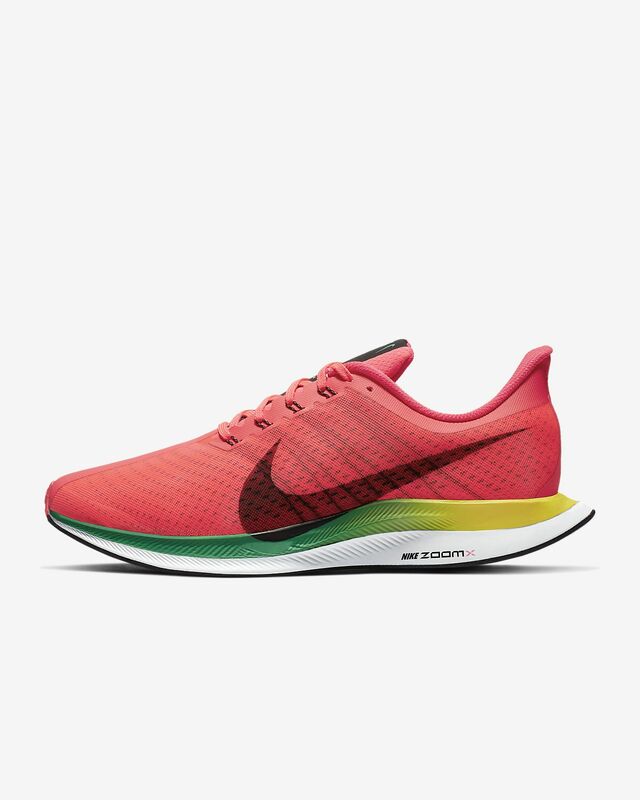 Enough structure to lockdown your foot on a long run, but still very comfortable on the upper foot. As for the bottom cushioning system, 2 words...RIVALS ULTRABOOST!!! Definitely going to grab another colorway, but the Punch, green and yellow look amazing in person!